Probably anybody born after 1970 will not know who the gorgeous and talented actress I’m talking about, but I have a solution for them: rent Shogun. The 1980 mini-series based on the James Clavell historical novel set in 16th feudal Japan holds up today as well as when it aired. And no one in the series fares better with time than the lovely, effervescent Yoko Shimada, who played Mariko – Richard Chamberlain’s love interest and my first major small screen crush. But it was almost not to be. Just a week before production, the actress chosen for the role of Mariko had to leave the project. She was a singer and had a tour to embark on. Undaunted, the director and crew took their time and shot around the pivotal role – a whole month – before finding the beautiful Yoko. She was perfect, except for one little thing. She didn’t speak a word of English and the role was of an interpreter. Enter Luca Bercovici, son of scriptwriter Eric Bercovici, Yoko’s dialogue coach. The two went through the script day and night, sometimes right before a scene was to be shot – for Yoko to get the speech patterns and inflection down to convincingly portray a Japanese to English interpreter. Sometimes they had to work so fast that some English works Yoko could pronounce were changed in the script. In fact, much of her dialogue ended up being tailored for the young actress. What could easily have been a complete disaster, became the highlight of one of the highest-rated mini-series in television history. And Yoko Shimada became the most famous Japanese actress in America as well as the world. 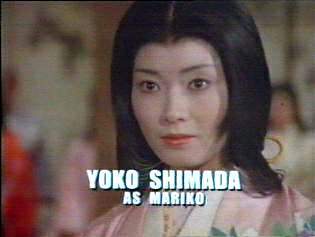 Unfortunately, Yoko’s career and personal life fell on hard times subsequent to her breakout role in Shogun. Like many other actresses before and since, she was unable to get roles that allowed her to shine, displaying her incredible acting talent in concert with her luminous beauty. And though Yoko is as beautiful today as she was over 32 years ago now, she’s still a struggling actress resigned to performing in films that are beneath her. It makes the miracle of Shogun all the more remarkable, because we could have easily been deprived of this angel altogether…if the stars hadn’t aligned and Yoko wasn’t discovered at all. Thank god for tender mercies. 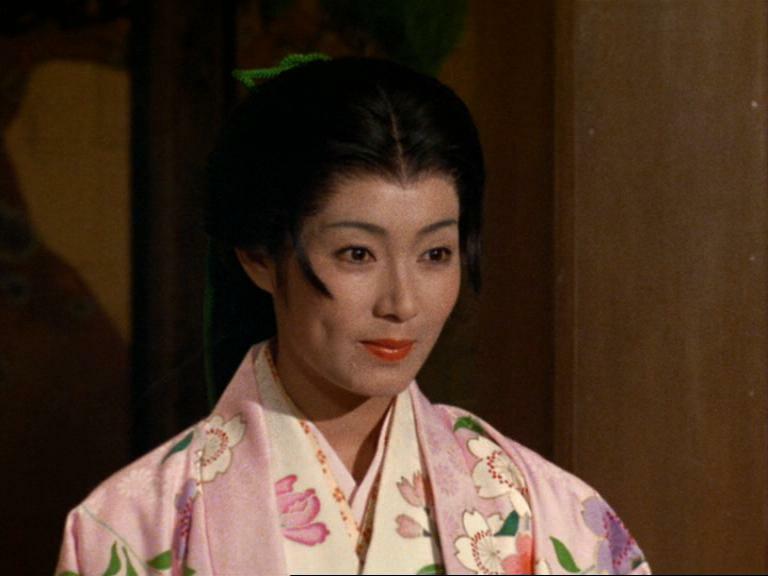 I’ll always love Yoko Shimada for breaking my heart watching Shogun when I was a little kid with my family huddled around our 15″ Sony Color TV. Her role is deeply textured and nuanced for someone who did not understand the language in which she was performing. I wonder what it’s like for Yoko to look back at her performance now, so many years later and understanding English fluently. It reminds me of another actress who had no idea what she was saying when she first started acting in American movies. She did pretty well for herself. Her name was Greta Garbo. ← Who Is This Famous Movie Star? Thank you for profiling one of the most beautiful and talented actresses ever. I have watched Shogun so many time that i have lost count, and over and over again I find myself drawn to her magnificent talent and beauty. She is without a question one of my favorite artists. Again, thanks for your honoring her talent with that profile. Signed, Al from New York…. When I was 10 years old I fell in love with this women when I saw her in this mini series. I suspect this may have had something to do with my studying japanese and also moving to japan in the early 90’s. I have been lucky enough to have had deep meaningful relationships with several japanese women and I have to say my life has been profoundly affected by their grace and intensity . As a teenager I fantasized about hearing her say “anjin san” to me ! I also went on to get a captains license – how interesting life is.Japan Is not a perfect place or culture but nowhere is. And I am eternally grateful to japan and its wonderful women for making this mans dreams come true ! Im sure the seed was planted by shogun and the lovely “Mariko” ! You said all I felt in my heart about Mariko…yes she was And she is beautiful . I just remember that in Chamonix, France, Circa 1990 I saw a Japanese women So beautiful…but she was with her friend And I dont wanted to Boring them for pictures…Now it ´s So old…But…But…I feel something Great about Japan. They are So pretty. Sorry for my English as you know Most of French dont speak another language. Came here by chance and your post sparked my memories. I was born after 1980, but American movies and series made it kind of later to Poland due to historical circumstances, and I had a chance of watching Shogun as a child. I vaguely remember Mariko, and your post made me want to rewatch the series. Thank you for the nice note. Shogun is my all-time favorite miniseries. I hope you enjoy rewatching it! I most definitely will (when I finally get around to it), it’s going to be interesting to see how my perception of the series changed with 20 years (or even more?) after the first viewing.